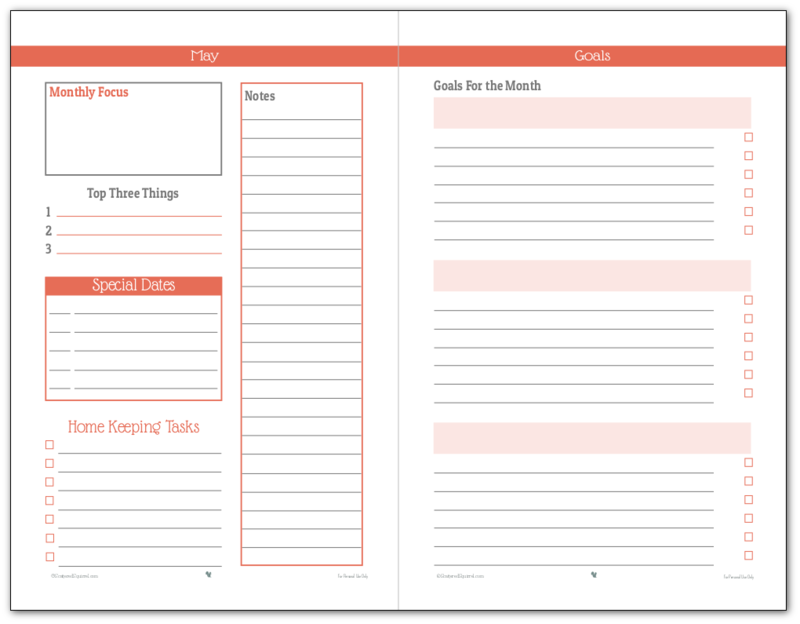 Is there a better way to kick off a week than with some planner printables? Maybe there is, but printables are still pretty fun. 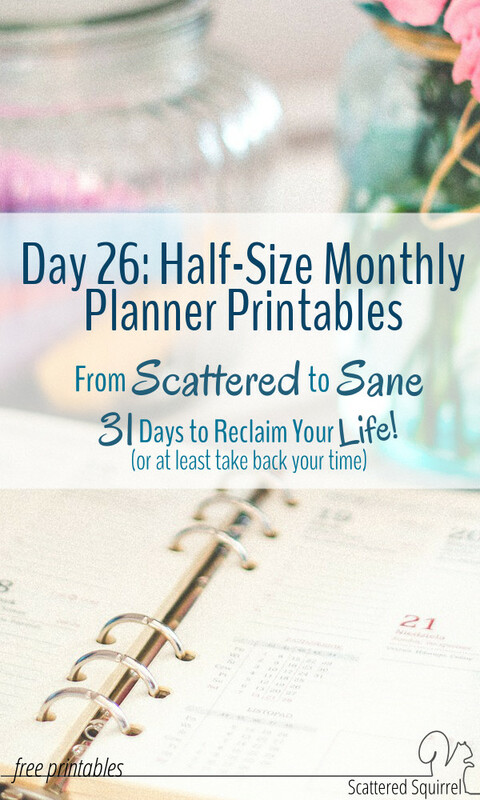 Last week, when I shared the monthly planner printables I had every intention of sharing the half-size ones at the same time, but I ran into a bit of snag and wasn’t able to have them finished up in time. It can be frustrating when we plan something so carefully and then things go wrong and we have to adapt our plans on the fly, but you know what? In this case anyway, the destination is still the same. The half-size monthly planners are ready to go! I know that for many people, portability in a planner is essential, while for others it’s a matter of personal preference. No matter what your reason for needing or wanting half-size printables it’s always a joy to create and share them with you all. When it comes to designing the half-size printables I try really hard to strike a balance between keeping the components the same and still being able to offer enough writing room so that they are usable. To achieve that with the monthly planners I ended up needing to make them two pages instead of one, but I think the end result will work well. Since I’ve already explained how to use them in my Monthly Planner Printables post, I won’t get into too much detail. Feel free to click that link back there to read the other post. I think they’re pretty self-explanatory though. Goals – there is room to set three goals each month and jot down the steps you need to take to complete them. Just like with the full-size ones, I opted to provide you with each individual month, that way you can print a couple to test to see if they work for you. As always to snag a copy of the printables for yourself all you have to do is click the picture of the one, or ones, that you want. I didn’t forget about those who would prefer the ease and convenience of having all the monthly bundled together in one file. If that’s the one you would like, just click the pic below! We’re coming up to the end of the From Scattered to Sane series. It’s taken a little longer than I thought it would to get all the posts out to you. October was a strange and busy month for us, personally, and I’m doing my best to follow my own advice and focus on my daily three, my weekly three, and making sure I’m leaving room in my schedule for unstructured time. How have you been doing with this series? I’ll be back later on to explain it all a little more, in the mean time I hope you enjoy the printables! I’d love to hear from you! What do you think of the half-size monthly planner printables? Are they going to be a useful tool for you? THANK YOU, THANK YOU, THANK YOU!!!! Love them!!! You are so very welcome Lora, I’m thrilled that you love them. I hope you have fun using them. Hi Kim, I’m constantly searching for ways to improve my own systems too. 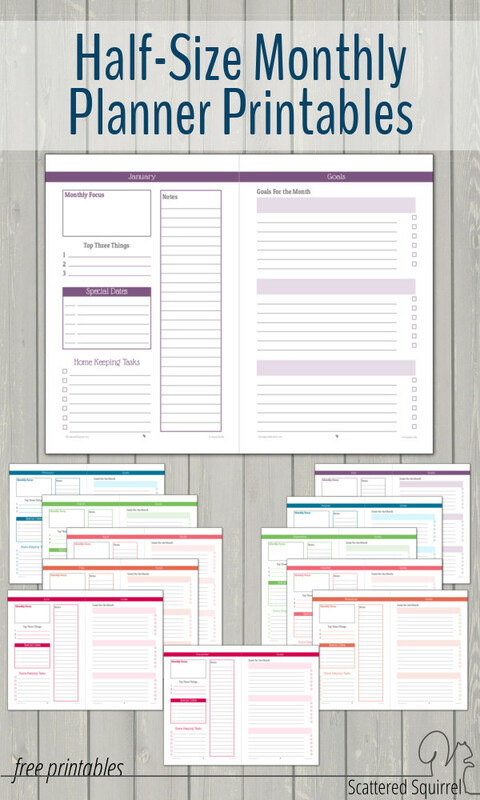 I’m so happy to hear that you found some planner printables that will be useful for you. Enjoy! These are exactly what I have had in the back of my head! I can’t believe you are sharing your work so generously – thank you!! Hi Sally, I’m glad you like the calendars. I hope you find them useful for your planner. Thank you so much! I am a teacher and was looking for only the monthly view. I appreciate you sharing yours! Are you going to create 2017 calendar months soon? How can I print these on A5 paper? Hi Cassandra, unfortunately, you can’t print them on A5 paper. I designed them to be printed on US Letter size paper because most people don’t have A5 paper. I made it to day 26 of the 31 days… are there any more steps! Your site is amazing! Hi Roxie, no there are no more steps. I had to cut the series short with all that was going on it was just too much for me to keep up with. I do hope to add in a few more posts later this year to round the series off. 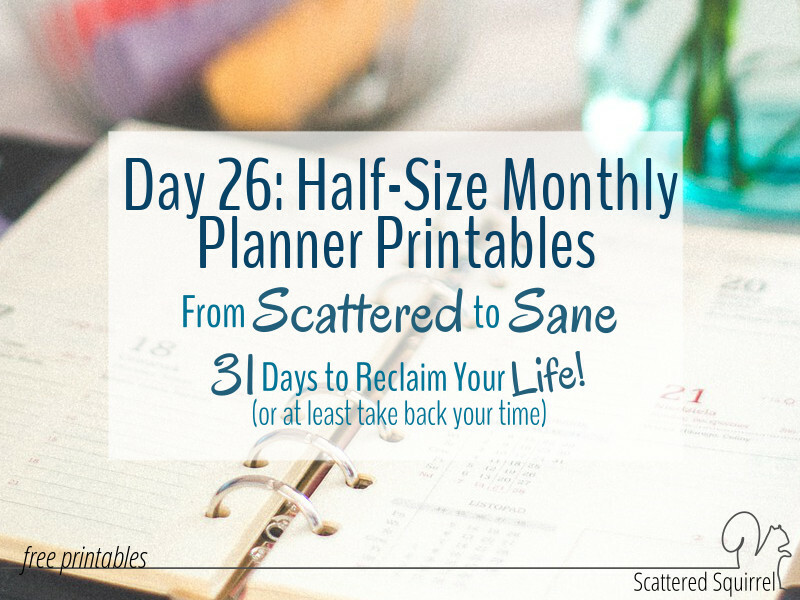 I found your post while trying to find an answer to my crazy schedule and looking for a customizable mini planner. I can’t wait to go back through all your steps! Does anyone know where to find a printable mini contacts page? Hi Dawn, I’m so glad you like them and that the printables will be a help to you. There is a half-size contact page. If you look on the side bar there is a search box. If you type in address book in the search bar that should bring it right up for you. I hope that helps.